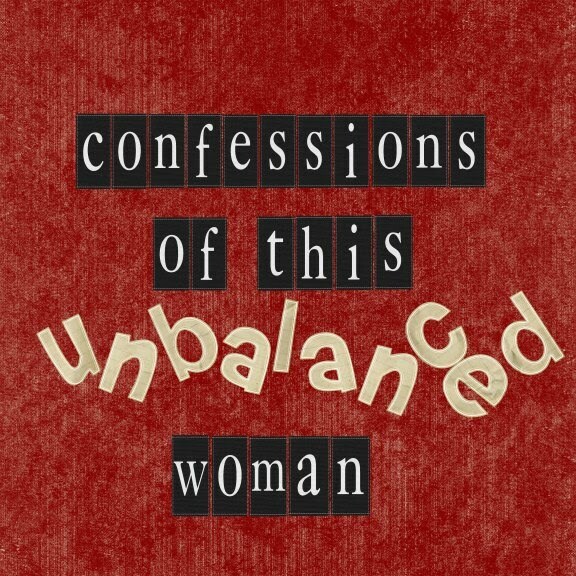 Confessions Of This Unbalanced Woman: My life is an open book....until now. I'm so glad your getting things figured out. You've been on my mind a lot lately and in my prayers. Although my situation is different than what ever you're dealing with I understand it when you said people try to give help and advice that's from their heart but just not for you. I still frequently get advice for those who love me and want to help me with my grief stricken days but usually it's not anything that can really actually help me. Sometimes it's even more hurtful than helpful. Anyway I wanted you to know I was thinking of you and that I hope things are getting better. I know you're taking a break but if you every need a good listener I'm just a street away. I think you are an amazing person and I love it every time I get a chance to chat with you. You always brighten my day and lift me up. BTW I LOVE your new hair style it looks fantastic! !